KIEV, Ukraine -- Peparations are underway for a visit to the United States by Ukrainian President Viktor Yanukovych, who will attend a nuclear security summit in Washington on April 12-13, the Ukrainian Foreign Ministry said on Sunday, Ukraine’s Kyiv Post Web site reported Monday. 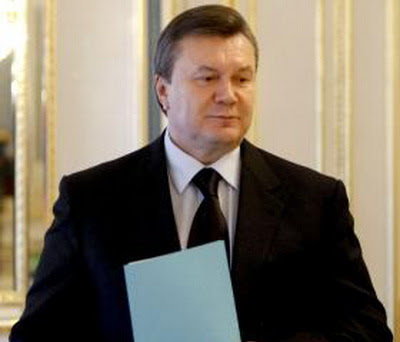 President Viktor Yanukovych in Kiev, Ukraine. Preparations for the visit were discussed at the Brussels forum between Ukrainian Foreign Minister Kostiantyn Hryschenko, U.S. Assistant Secretary for the Bureau of European and Eurasian Affairs Philip Gordon and U.S. Assistant Secretary of Defense Alexander Vershbow, the ministry said. "Ukraine and the U.S. also reaffirmed their willingness to continue to develop bilateral cooperation according to the Strategic Partnership Charter and expressed interests in expanding trade and economic cooperation between the two countries," the Ukrainian Foreign Ministry said.